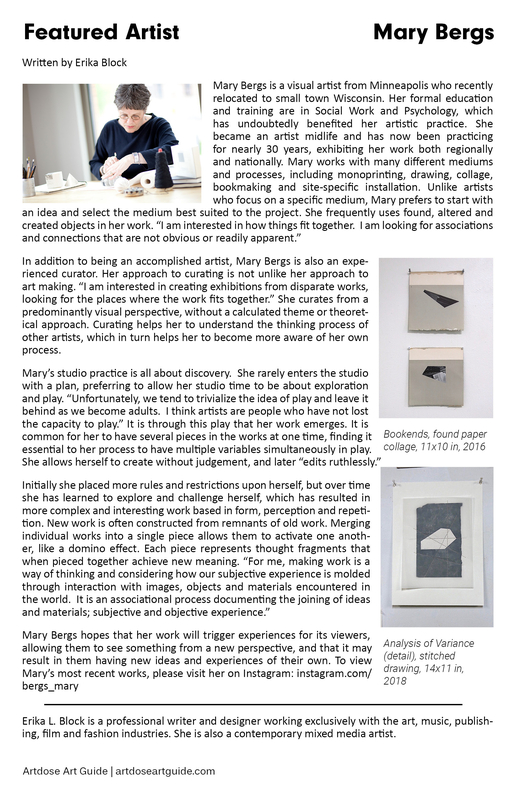 Vol XXV issue features artist, Mary Bergs. 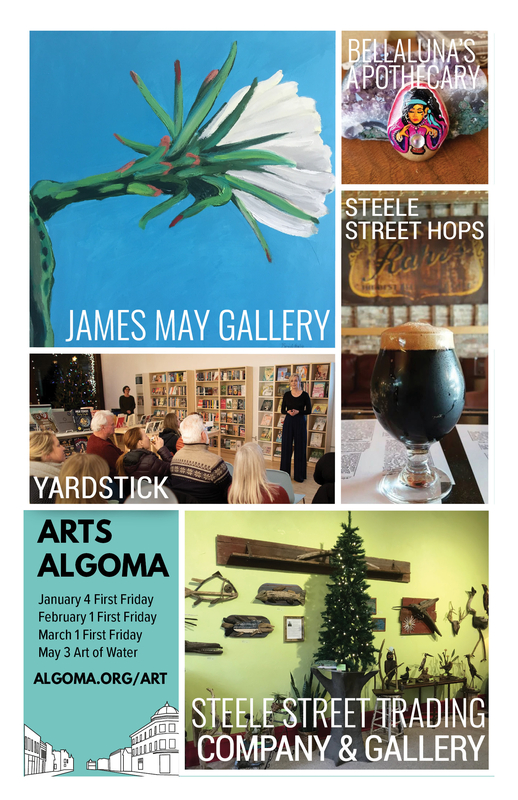 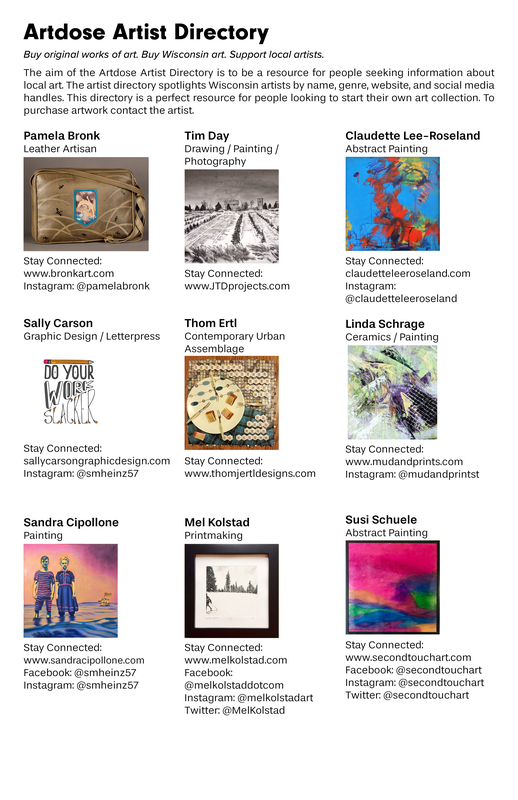 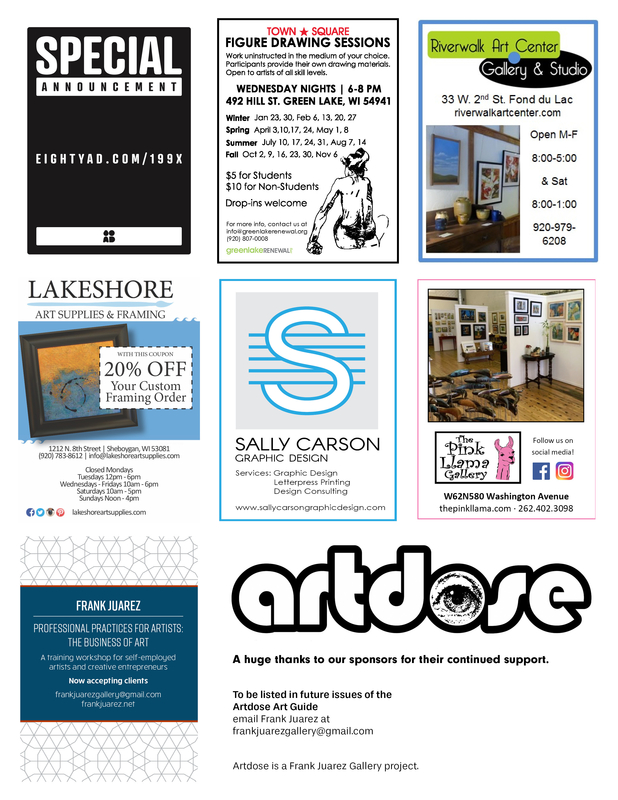 Artdose VOL XXV would be not be possible without the continued support of the following: Art in Algoma: First Friday, Eighty Art & Design, Lakeshore Art Supplies, LLC, The Pink Llama Gallery, and Riverwalk Art Center. 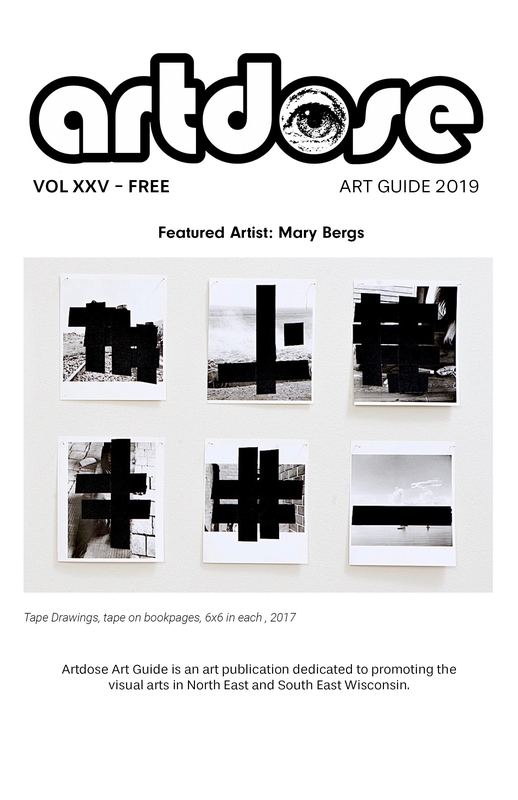 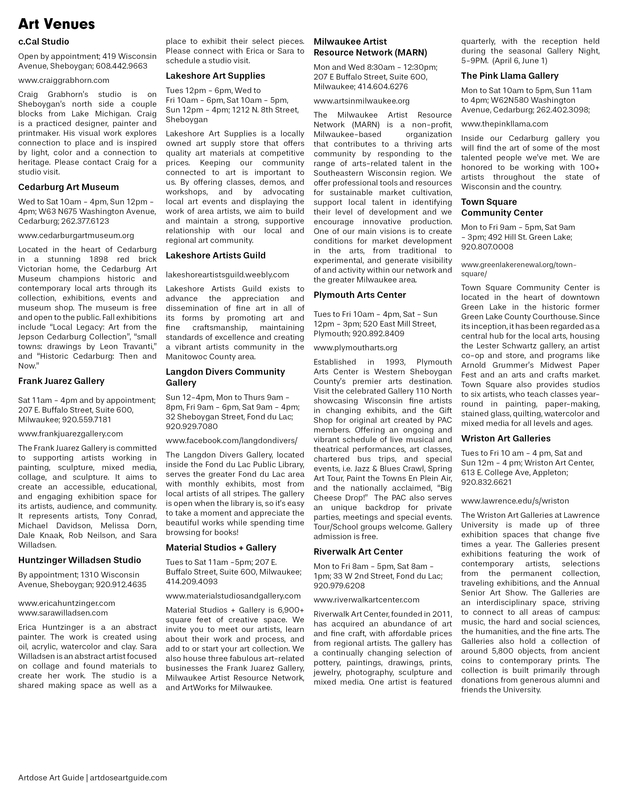 This issue runs from January 1 – March 31, 2019.